Leonard Taub began his career in real estate development in the New York City real estate market in 1997. While in New York, Mr Taub developed and owned approximately 500,000 square feet of mixed-use residential and commercial properties. His New York projects include – 316 Bowery, 2, 4 and 6 Bleecker Street, and two residential ground-up construction totaling 100,000 square feet on the Lower East Side and Hell’s Kitchen. In addition, Mr Taub sold an 18,000 square foot commercial property in Brooklyn, facilitated acquisition and assemblage of a 144,000 square foot project in Manhattan’s Gramercy Park with full approvals and plans, and assembled an 80,000 square foot project in Brooklyn’s Williamsburg. In South Carolina, Leonard was an integral part of the assemblage of a 14-acre Commercial Office Park in Charleston. In 2015, Mr. Taub established his presence in the Denver real estate market. 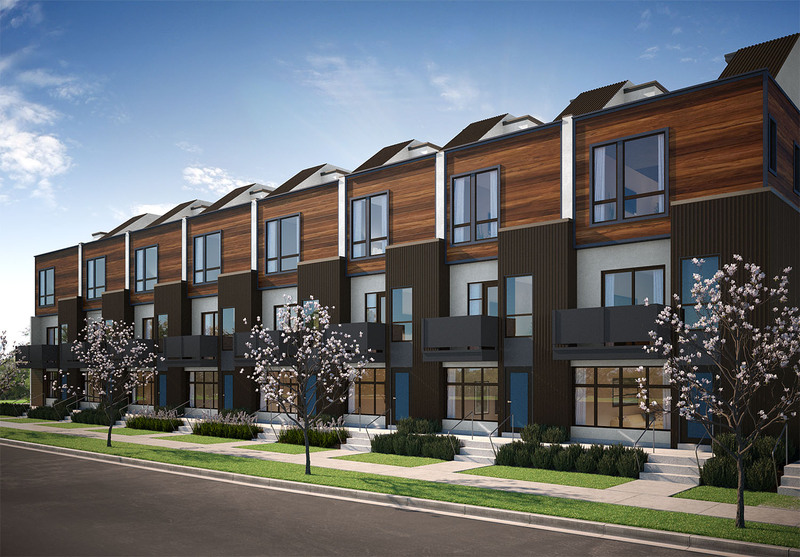 He has since acquired four development properties – Saola Townhomes in Sloan’s lake consisting of 17 townhomes, all sold and occupied in May 2018; Vaquita Townhomes in the Highlands consisting of 17 townhomes, scheduled for completion January 2019; Condor Townhomes on Tennyson Avenue consisting of 28 townhomes, construction scheduled to begin May 2018; and Santa Fe Drive Development in Denver’s Art District consisting of 22 townhomes, 8,500 square feet of retail and 55 condos, construction scheduled to begin April 2019. Due to Leonard Taub’s successful track record, he has secured a large equity investor network with investment capital of over $40 million for real estate ventures. Susan Taub is responsible for implementing creative marketing strategies, including public relations and media services designed to generate business awareness and community partnerships. Before joining First Stone Development, Susan was the Marketing Director for a prominent real estate developer of condominium projects in New York City and shopping centers on the west coast. Prior to her specializing in real estate communications and marketing, Susan was the Assistant Public Relations/Marketing Director for the Los Angeles Lakers and other events at the Los Angeles Forum. Susan earned a Master of Science degree in both administration and education and is a licensed real estate broker. Jennifer Vollono is the Executive Assistant of Operation at First Stone Development. Ms Vollono plays an integral role in managing all activities and operations. Her key responsibilities include managing compliance issues, trouble-shooting and solving all related operational issues, compensation and insurance, IT performance management and professional development. Ms Vollono successfully maintains strong ties in business communication and relationships, and directly works with the marketing, and public relations department. Ms Vollono communicates directly with the managing member of First Stone Development on all aspects and details of the business and strategically makes decisions with the executive team. In addition, she often corresponds with investors, and manages their portfolios to ensure all documentation is handled professionally and in a timely manner. Lawrence Kutnicki and Daniel Bernstein established Kutnicki Bernstein Architects in 1986. Since inception, they have constituted an extremely diverse practice designing projects for new residential condominium buildings, residential conversions, corporate offices, institutions, non-profit organizations and showrooms. KBA provides an extraordinary service to their clients, in that their experience and philosophy enable them to design buildings and spaces embedded with ideas and images that stay current over time. Their philosophy is to balance pragmatic business ideals with commitment to responsiveness. This is their means of achieving the highest possible quality work in order to satisfy their clients’ specific requirements of project budgets and target schedules. Kutnicki Bernstein Architects commits the full resources of the firm to satisfy a client and to achieve the client’s objective. KBA are committed to the partnering strategy as the backbone of their design and business, and are willing to dedicate the resources required to assure the quality of their success. The owners of Denver Design Build, Jeff Ayres & Jeff Gates, met as General Contractors in 2008. 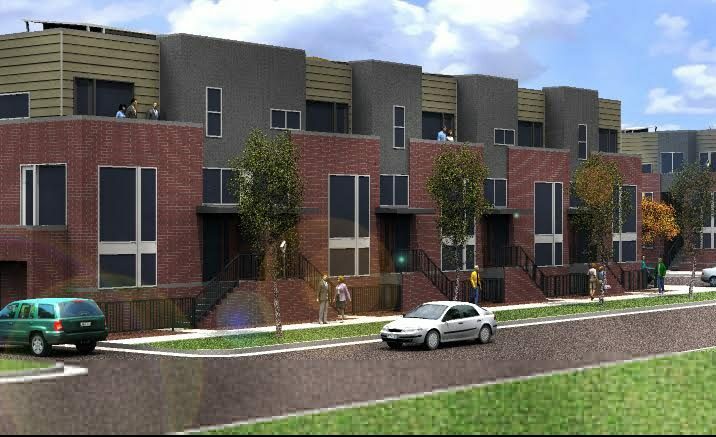 Together, they began to recognize a lack of quality construction at a reasonable price in Colorado. Knowing their individual contractor models were some of the most competitive in the industry, they combined their talents to form Denver Design Build in 2010. Cost of construction, however, was not enough to set them apart. They realized high-quality design and superior client experience was paramount, and they were determined to deliver. Today, Denver Design Build prides itself on ongoing relationships with clients, as they continue to build distinct properties across the Denver Metro Area and the Front Range. Their approach has proven exceedingly successful. While the company started primarily in the remodel sector, it quickly grew into new-build and large-scale commercial projects. Colorado Business Magazine named them among the top 250 private companies in Colorado for 2013 and 2014, among numerous other nominations and awards accredited to the firm in the past several years. Founded in 2003, Denver based Hive Architects is a regional practice that specializes in architecture, urban planning and interior design. 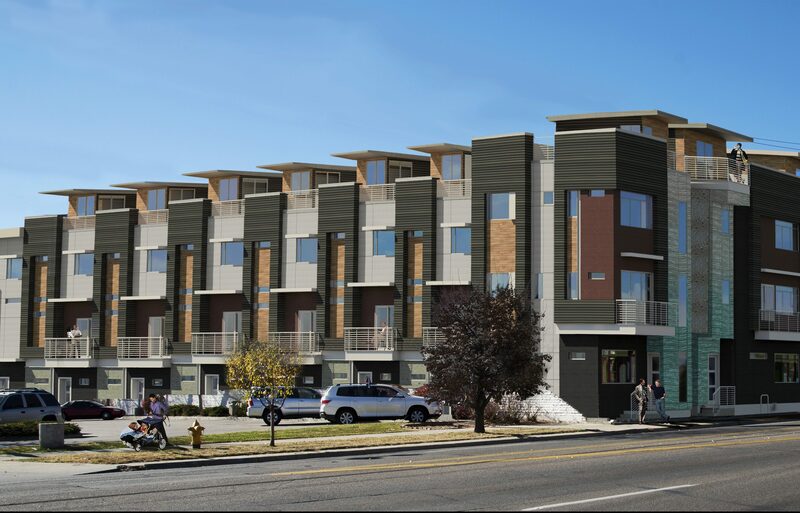 Over the past 12 years, Hive has focused primarily on residential and mixed-use construction in Denver’s urban neighborhoods and has served as the design consultants on numerous multifamily projects nationally. Hive Architects strives to blend a context-driven design process with careful attention to detail, while skillfully managing the talents of the team to bring client projects to successful fruition. Hangar 41 is an architectural design firm founded in 2010 by a group of entrepreneurs with a focus on collaboration and establishing a think-tank environment. Hangar 41 was built on the principles of sustainable practice, integrated project delivery, building information modeling, and community service/engagement. We are dedicated to create architecture that inspires and enhances the lives of all those touched by our work. Hangar 41 is committed to help our clients build a strong vision for their projects grounded on function and enlivened by meaning. Hangar 41’s success is defined by the relationships we form with our clients. We have an open and inclusive process, and offer our ideas to client and user critiques to ensure that the needs of each project are fulfilled. Understanding that every aspect of design can become a meaningful expression of the function and requirement of a project, we conduct diligent research to allow us to appreciate the local context and community.Reflecting on past experience, Hangar 41 creates a new language for every design that is specific to individual client goals.Our entire staff has a vested interest in the firm, fueling the drive to succeed, while creating accountability for every project.Principals and team staff are engaged in all aspects of design, which ultimately reduce errors, and strengthen project coordination. our city. Having moved here from New York City, I focused on the urban Denver market where I felt I could add the most value for my clients. The real estate environment in Denver has changed a lot in recent years, but our steadfast commitment to our clients has not. Over time, I have carefully surrounded myself with like-minded broker associates interested in perfecting their craft, who also share a passion for urban Denver neighborhoods. At TreeHouse, we always put the client first – our clients are our extended family. Our strong, client-service approach to selling high-end real estate sets us apart from the sea of brokers in the market, and this is the reason the majority of our clients are repeat customers. We operate a business where people come first; as residential real estate is all about people and their most important asset, their home. We also place a large emphasis on the most essential skill set any broker must have – transactional know-how. Buyers and sellers in this fast-paced market rely on their broker to skillfully conduct the transaction on their behalf to ensure the best outcome. This attribute comes from solid coaching grounded in experience gained through years in the business. At TreeHouse, we work as a team to give all our clients a leg up in this dynamic, highly competitive market. Things happen quickly, and we take pride in being ready to spring into action for the benefit of our buyers and sellers at any moment. A mortgage professional since 2006, Ian uses a consultative approach to determine which loan program will help clients achieve their overall goals. Ian values integrity and transparency above all else, and believes that the loan process should be about building relationships with clients. With his vast experience, Ian is able to service a broad spectrum of homebuyers, from first-time buyers to seasoned investors. Ian is originally from southern Vermont, but he has lived in Colorado since 1999. Prior to working in home finance, Ian managed several small businesses including a contracting company, and studied construction management at CSU Denver. Ian and his wife Jill (a Colorado Native) live in Boulder with their daughter and son and enjoy hiking, fly fishing and camping. Colorado Federal Savings Bank is an internet based bank formed in 1990 with office locations across the country specializing in speculative construction lending to top tier developers and home builders nationwide. Colorado Federal has established itself as “The Builder’s Lender” by cultivating long term relationships with growing builders and developers through the help of general contractors on staff and in house loan administration. Dedicated to delivering superior service, a transparent loan process andconsistent low rates to builders, Colorado Federal has nearly doubled its lending balance sheet from 2014 to 2016. Understanding each builder and project is unique, Colorado Federal has a dynamic underwriting team and partners with Provident Mortgage Trust, a separate but affiliated company under common ownership. Provident Mortgage Trust is a hybrid REIT with equity under management exceeding $300MM focused on bridge and short term real estate loans. By preserving the lending, investment, and service integrity upon which Provident Funding (one of the nation’s leading independent mortgage originators and servicers) was founded, PMT has stood the test of time and emerged a proven investment vehicle. Colorado Federal Savings Bank is an Equal Housing Lender. Copyright © 2018 First Stone Development, LLC. All rights reserved.